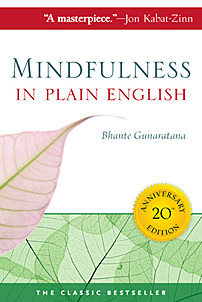 "Mindfulness in Plain English" has been on UrbanDharma.org a while now for free download, but the edition I posted years ago was the first edition and is now rather dated. Over the last few months I have been in contact with the publisher at Wisdom Publications about M.I.P.E... I have come to understand any money that would have gone to Wisdom Publications (a non-profit publisher of Buddhist books) and the author Ven. Henepola Gunaratana to support his Buddhist Center the Bhavana Society, is forever lost. I think supporting both Wisdom Publications and Ven. 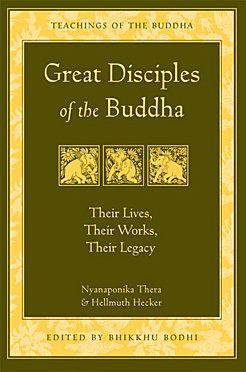 Henepola Gunaratana is important to Buddhism in America. 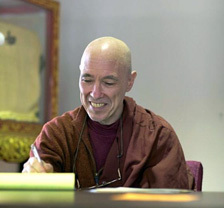 Dana / Generosity is the first of the Buddhist perfections... Free is good, but supporting a non-profit publisher of Buddhist books and a Buddhist Center is better... Please give this a mindful moment. The old (online) version is below, but Wisdom Publications is offering 20% off the latest edition through UrbanDharma.org and the link below. version at check out, on the Wisdom Publications website... See link below..."
Buy from Wisdom Publications and get a 20% discount - Click Here - Apply UDMIP at Check Out. 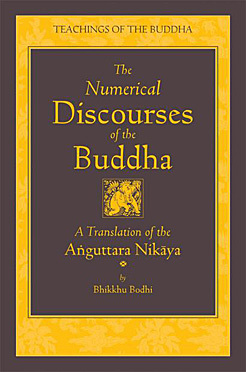 Print and eBook edition of "In the Buddha's Words" / Code - UWBW15 - Click Here - Apply UWBW15 at Check Out. 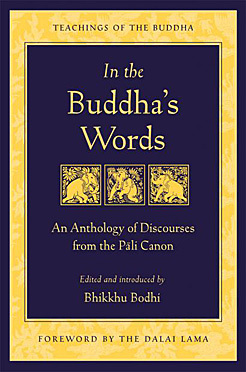 This collection is a wonderful introduction to the Buddha’s teachings—in his own words. 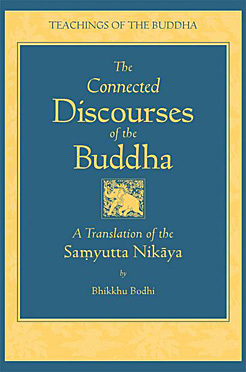 The American scholar-monk Bhikkhu Bodhi, whose voluminous translations have won widespread acclaim, here presents selected discourses of the Buddha from the Pali Canon, the earliest record of what the Buddha taught. 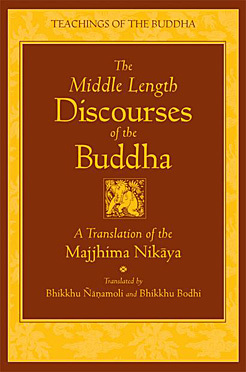 Divided into ten thematic chapters, In the Buddha’s Words reveals the full scope of the Buddha’s teachings, from family life and marriage to renunciation and the path of insight. A concise, informative introduction precedes each chapter, guiding the reader toward a deeper understanding of the texts that follow. 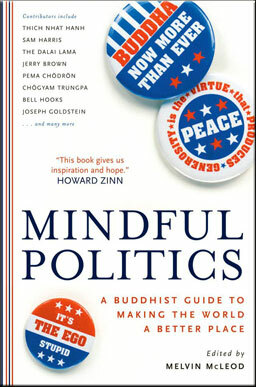 Wisdom Publications is the leading publisher of contemporary and classic Buddhist books and practical works on mindfulness. 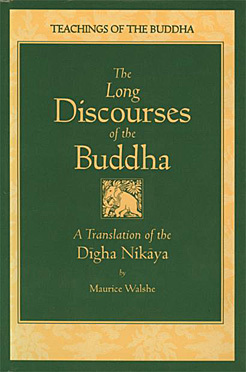 Publishing books from all major Buddhist traditions, Wisdom is a nonprofit charitable organization dedicated to cultivating Buddhist voices the world over, advancing critical scholarship, and preserving and sharing Buddhist literary culture. “These four generations of Chinese masters indeed taught amid social turbulence. 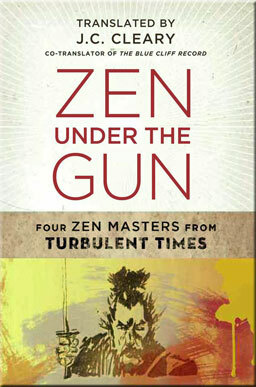 These luminous teachings, translated clearly for the first time, remain informative for our own troubled period.”—Taigen Dan Leighton, translator of Dogen's Extensive Record. Manhae (1879-1944), or Han Yongun, was a Korean Buddhist (Son) monk during the era of Japanese colonial occupation (1910-1945). Manhae is a political and cultural hero in Korea, and his works are studied by college students and school children alike. 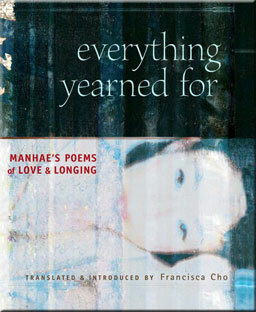 Everything Yearned For is a collection of 88 love poems, evocative of the mystical love poetry of Rumi, and even reminiscent of the work of Pablo Neruda.Though Manahe’s poetry can be read allegorically on many levels—political and religious—it is completely unlike any other poetry in Buddhist or secular realm. The first poem, “My Lover’s Silence,” narrates the lover’s departure and establishes the enduring themes of the work: the happiness of meeting, the sadness of separation, the agony of longing and waiting, and, most of all, the perfection of love in absence that demands the cost of one’s ongoing life, as opposed to the relief of death. The Korean word translated in these poems as “love” and “lover” is nim, though nim has many and broad interpretations. Understandably, the identity of Manhae’s lover, or “nim” has been the subject of much speculation.culture. Just as D.T. Suzuki introduced the West to Zen philosophy, Nyogen Senzaki helped introduce it to Zen practice, becoming the first great Japanese meditation master to fully immerse himself in the everyday life of America. 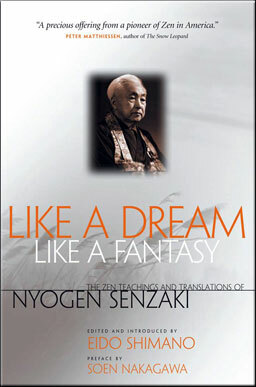 Like a Dream, Like a Fantasy collects many of his talks, essays, and poetry into one fascinating volume that offers an intimate, in-depth look at one ofWestern Zen’s earliest pioneers. 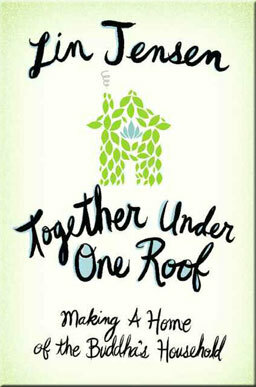 In Together Under One Roof, Lin Jensen turns his keen eye and powerful prose explicitly to the teachings of the Buddha, to traditional Zen stories, and to the practices of meditation and compassion—as well as the intricacies of everyday language and the natural world, truth and beauty, family, and the myriad ways our simplest actions affect our whole lives. His previous two works, memoirs of growing up and growing old and of the hard-won but gentle wisdom gained in his daily public meditations for peace, were both critical successes earning a special place in readers’ hearts. This book takes up symphonic variations on one main theme: we are all “in it” together, we are all living under one roof—and there’s always a glowing hearth right here in this, the Buddha’s household. 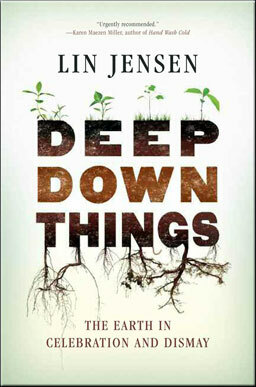 Beloved and critically acclaimed author Lin Jensen returns with this bounteous volume exploring what the poet Gerard Manley Hopkins calls “deep down things.” Richly informed by deep ecology, Lin’s writing explores our intimate connection to the land, to the specificities of place, and to the living earth itself-all as Lin uncovers our own deepest nature, the true heart of what it means to be human. There is much in what’s happening in our environment now that can and perhaps should be cause for dismay—and Deep Down Things looks squarely at all of this and nonetheless gives us ample cause for celebration. Over 30 years, Wisdom has developed a peerless list of over three hundred finely edited and beautifully produced titles that are distributed worldwide and have been translated into more than thirty languages. 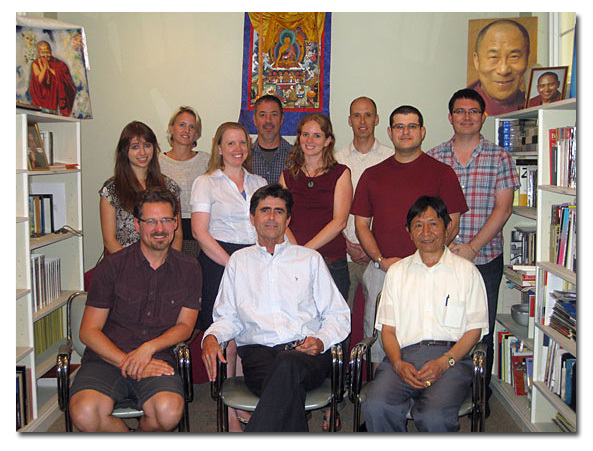 Wisdom’s success in fulfilling its mission is due to the combined efforts and generosity of countless authors, translators, editors, donors, and staff, all inspired by the profound richness of Buddhism. 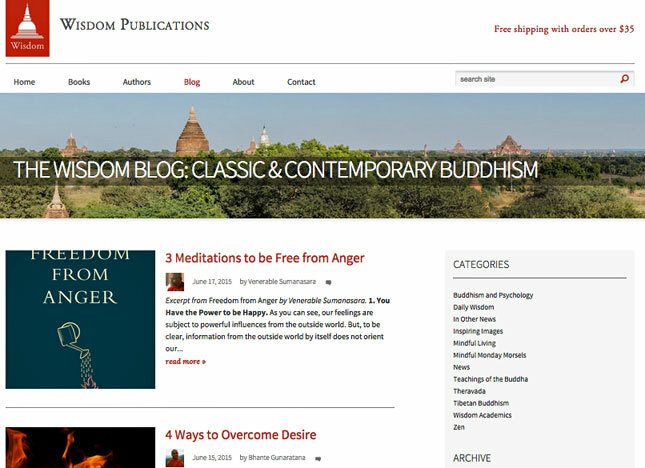 The Wisdom Publications Blog -- Click Here "The Wisdom Blog explores and illuminates classic and contemporary Buddhist thought and practice. Featuring rich selections, vivid quotes, and insightful commentary from the vast library of Wisdom titles, the blog is a gateway to the great expanse of knowledge encompassed in Wisdom's catalog." // Wisdom Publications is the leading publisher of contemporary and classic Buddhist books and practical works on mindfulness. Publishing books from all major Buddhist traditions, Wisdom is a nonprofit charitable organization dedicated to cultivating Buddhist voices the world over, advancing critical scholarship, and preserving and sharing Buddhist literary culture.